It is the Board's responsibility to provide tax monies for maintenance and operations of the schools and to submit bond issues to the District's voters for construction of school facilities. The Board appoints the Superintendent as its Chief Executive Officer. Board authority is defined by federal and state law and by regulations set by the State Board of Education. Trustees act officially as a group to serve the best interests of students and employees and to protect the taxpayer's investment in the District. 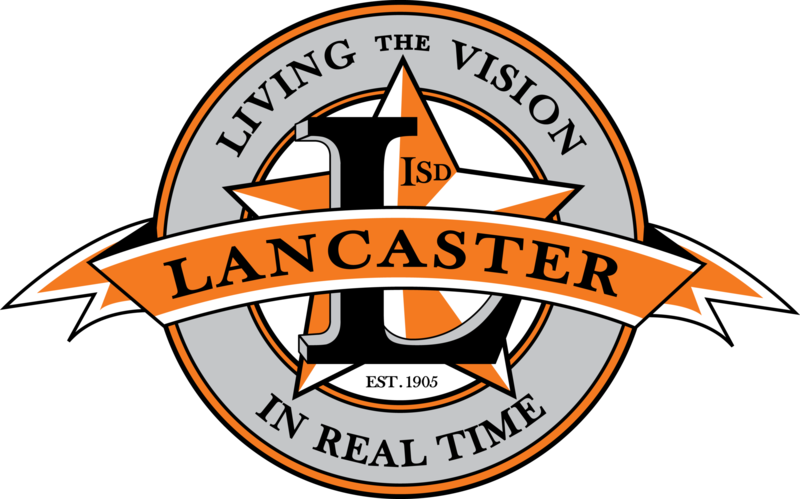 Goal 1: The Lancaster ISD TEAM of 8 will provide leadership to support continued improvement in academic achievement and accountability by adopting policies that support academic initiatives that lead to high levels of learning for all students and increased academic ratings for Lancaster ISD. Board Members will attend board training and conferences to ensure that a knowledge base around best practices and 21st Century learning is maintained and stay abreast of statewide district accountability systems. Board Members will approve policy that will support the implementation of a guaranteed viable curriculum and ensure that resources are available for students to have access to customized learning via technology. Board Members will allocate funding for resources, personnel, and/or professional development necessary to support increased student achievement and number of distinctions received by TEA. Board Members will support initiatives that will lead to increased student attendance/enrollment. Board Members will approve policy, allocate funding, and share ideas and professional contacts or networks, that will lead to increased student exposure to STEM experiences for Lancaster ISD students. Board Members will approve policy and allocate funding that will support increased student exposure through field trips and exploration activities. Goal 2: The Lancaster ISD TEAM of 8 will provide leadership to support continued improvement in graduates’ college and career readiness and preparation for STEM fields after graduation. Board Members will attend training to increase their knowledge base about College, Career and Military Readiness, STEM and new state graduation requirements. Board Members will allocate funding and support initiatives that will help to maintain relationships with students after graduation and assist in the development of activities to promote alumni engagement. Board Members will approve funding to increase technology access and devices to all of our students. Goal 3: The Lancaster ISD TEAM of 8 will provide leadership and approve personnel policy that will ensure the recruitment, development, and retention of certified staff and the establishment of a 21st Century Human Capital Management System. Board Members will set and approve a competitive salary structure that includes performance-based compensation where deemed necessary. Board Members will set policies concerning retention incentives. Board Members will receive and review yearly retention rates and exit interview reports. Board Members will allocate resources necessary to assist in recruitment activities. Board Members will support the establishment of employee wellness/well-being programs. Board Members will model professional excellence and support initiatives designed to improve customer service and employee excellence. Board Members will approve policy and support the required increase in Professional Development and capacity building for employees as a result of the STEM implementation. Goal 4: The Lancaster ISD TEAM of 8 will provide financial and fiscal leadership by setting an appropriate tax rate and approving a balanced budget that will protect the current and future financial stability of Lancaster ISD. Board Members will set a fund balance target range of 15% - 18% of the general budget. Board Members will approve policy and support actions that will lead to increasing and maintaining the district’s FIRST rating. Board Members will serve on finance and facilities committees to provide advisory input. Board Members will receive, at a minimum, a semiannual report on all areas of the district. Board Members will participate in the development of a long-range facility plan and five-year financial plan. Goal 5: The Lancaster ISD TEAM of 8 will provide leadership and serve as an ambassador and advocate for the District and the stakeholders. Board Members will actively engage in sharing positive news about the district and take actions to continue to improve the school district’s image. Board Members will support and participate in efforts to increase partnerships with community stakeholders and improve parental engagement. Board Members will participate in town hall meetings, open forums, and/or education summits within their district to increase communication of achievements and receive feedback from constituents. Board Members will support and attend school and city events at a minimum of once per month to maintain visibility within the community. If applicable, Board Members will attend HOA/PID meetings in their voting district at least once per semester. Board Members will participate in employee and student recognition programs by sending regular congratulatory notes. Board Members will participate in promotional video-recorded messages to be broadcast on the district’s website and at major events. Board Members will actively participate and serve as guest speakers for PBL showcases and other major events.